Captive Shot Blasting Services UK. Dust-Free & Low Noise. At Blast Technology Ltd we are your Captive Shot Blasting experts with over 30 years experience. 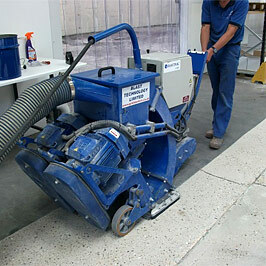 We have machines and knowledge capable of dealing with any floor coatings. Whether it be a failed coating or laitance removal. Our captive shot blasting and grit blasting service offer a dust-free experience. 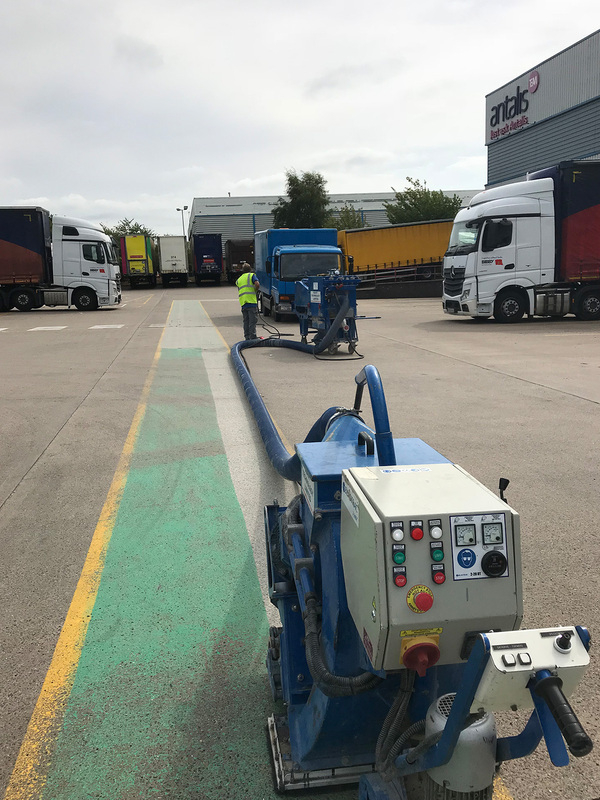 Our equipment also provide very low noise output, enabling businesses to carry on as normal whilst we prepare the floor. Contact the Shot Blasting Experts on 01509 412 622. 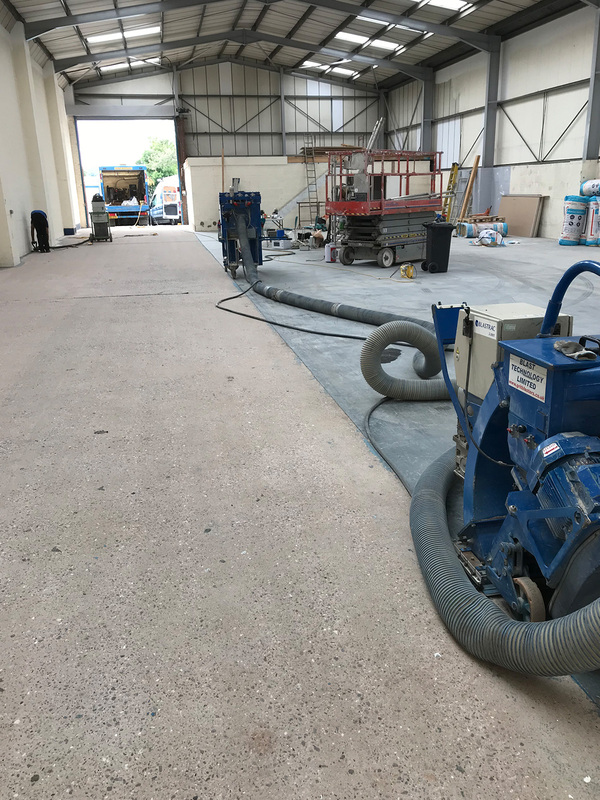 Captive shot blasting is a technique used to quickly remove any existing floor covering. 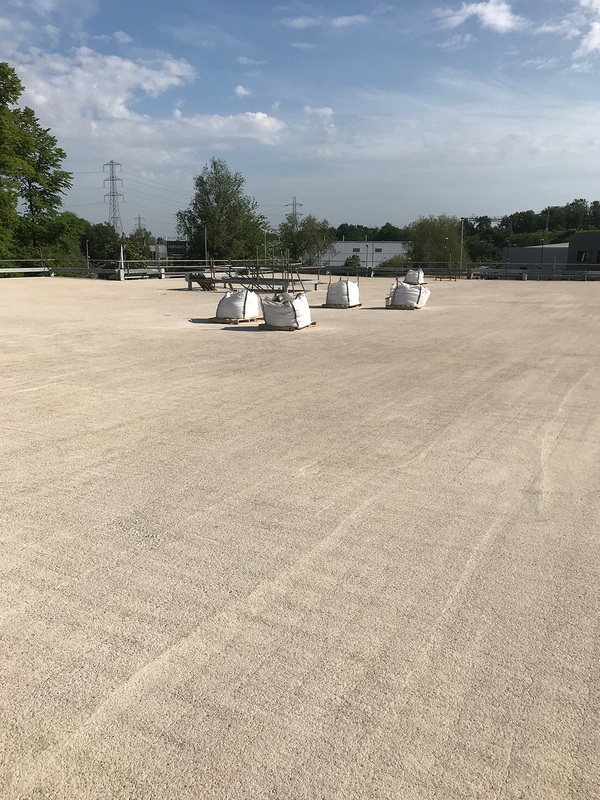 Key areas of use include car parks, public areas, factories and industrial business premises. 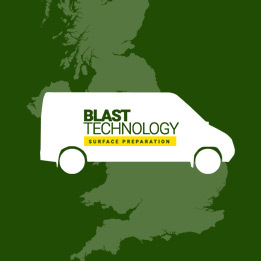 We are a leading abrasive blasting company based in Leicestershire providing a speedy nationwide service. Our captive shot blasting machines are produced by Blastrac. Blastrac Systems are global leaders in floor preparation equipment. 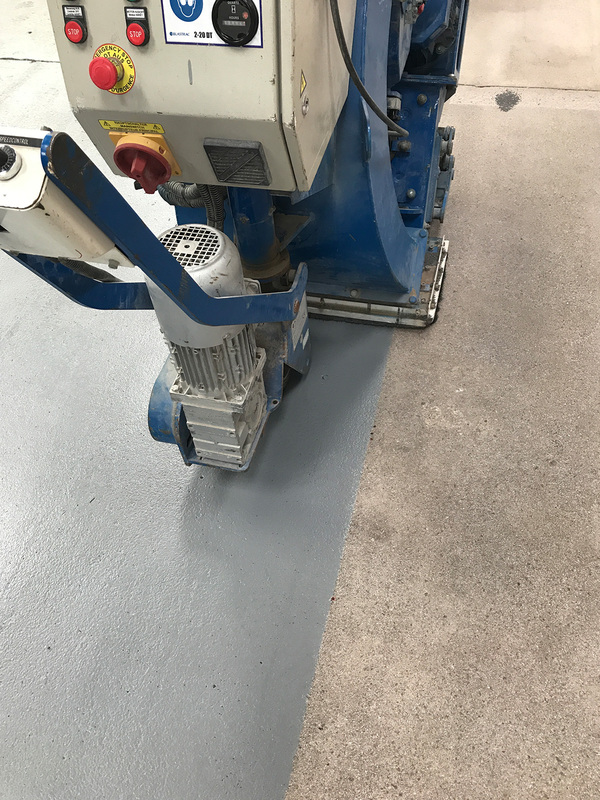 They are used in a range of applications and many coating manufacturers suggest them as the number one choice for floor preparation. They produce a dustless blasting experience. Our vehicles include onboard generators and compressors. This makes us fully self-sufficient when working in your premises. 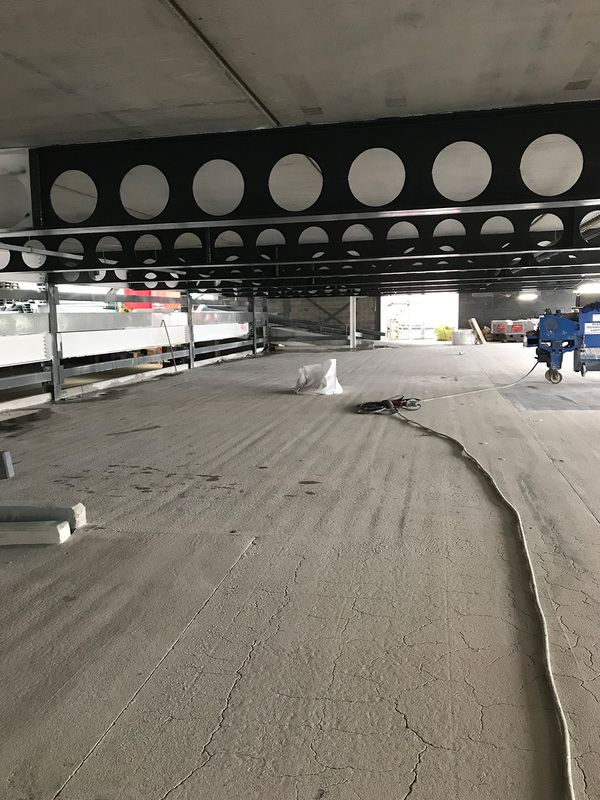 This also allows us to be less of a distraction leaving the area open to additional works or functional use during working hours. Unsure of the best method for your concrete floor? Unsure whether captive shot blasting or grit blasting services are the correct method for your building? If so, please speak to us. We are UK Leaders in the industry and are happy to help. In order for us to give you an accurate quote please let us know the dimensions of the floor you would like us to prepare. We also provide premium open blasting services and sandblasting services. 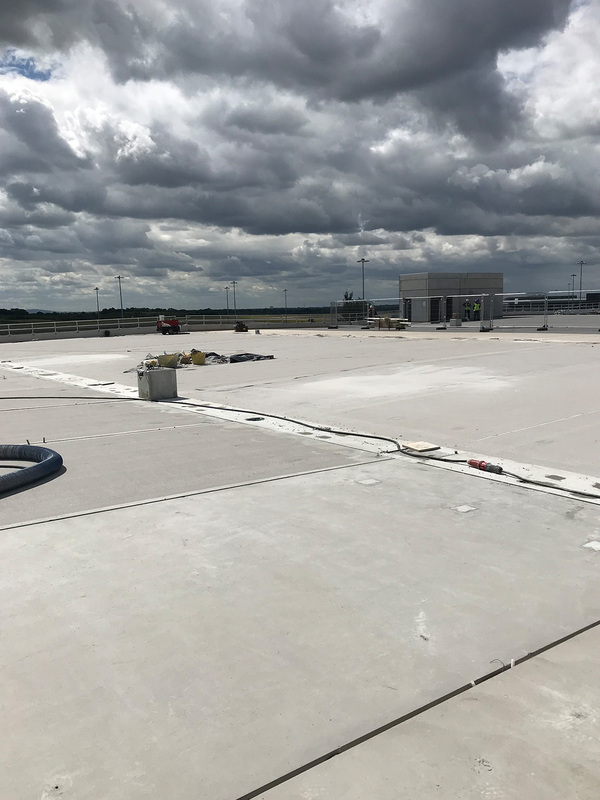 Correct preparation is vital to any floor installation, and with 33 years experience in surface preparation we feel we are more than able to advise on and provide the correct method of preparation.